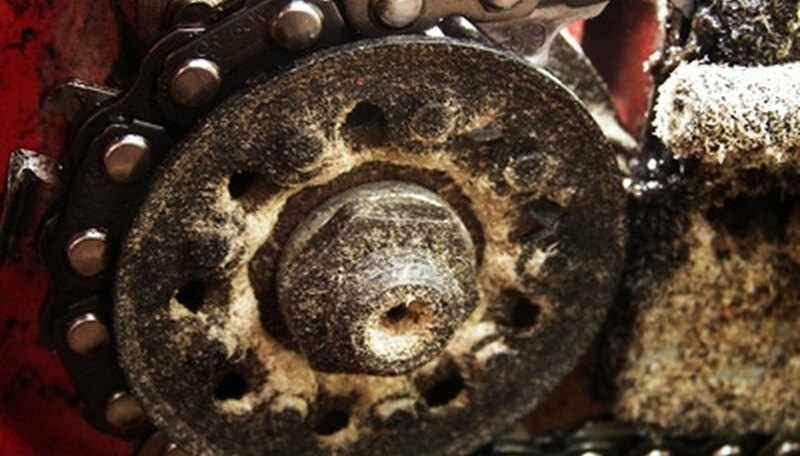 Sharpening a chainsaw chain is a critical aspect of proper chainsaw maintenance. A dull chain is not only ineffective, but dangerous. 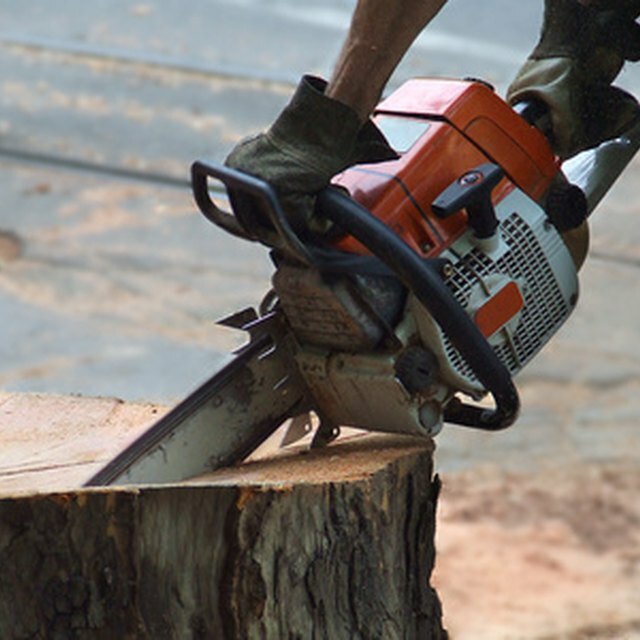 Dull teeth will cause the chain to stick while sawing, which can jerk the chainsaw out of the operator's hands. A serious accident could ensue. Though tedious, sharpening a chainsaw is not difficult and well worth your time. All that is required to sharpen a chainsaw chain are some basic tools and a little elbow grease. A sharp chain is critical for a safe, efficient chainsaw. Tighten the chainsaw bar in the vice securely. Tighten the chain adjuster with the flat-head screwdriver to prevent the chain from freely slipping as you sharpen the teeth and rakers. Secure the rat-tail file in the file guide and adjust the guide to the angle you desire. 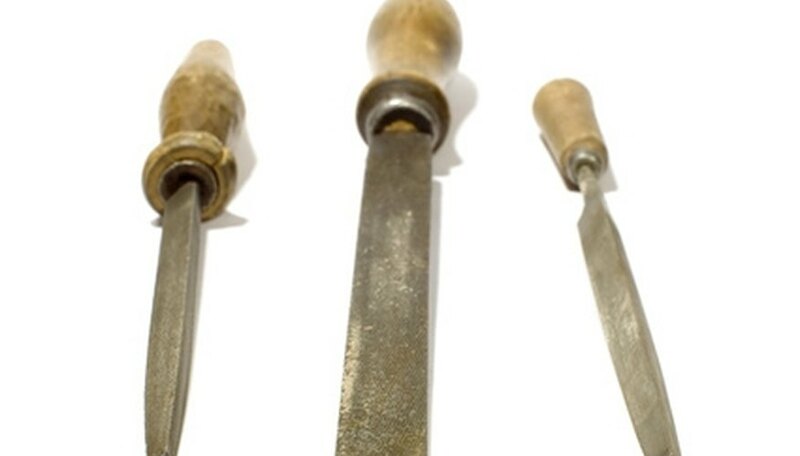 Place the file and guide on the first tooth of the chain you plan to sharpen. Rasp the tooth with the file by getting under the tooth and applying pressure up. Do not push down on the file or you will begin to file away at the chain and damage it. Keep the file perpendicular to the chainsaw bar. Avoid tilting the file to either direction. Maintain a 90-degree angle to the chainsaw bar as you rasp the tooth with the file. Work your way around the entire chain, sharpening each tooth. Rasp each tooth between 5 and 10 times, depending on what is required to give each tooth a sharp edge. Place the raker guide over three sets of rakers and teeth with the center raker and tooth visible through the slot in the guide. Run the raker file over the exposed raker --- back and forth --- until the raker is flush with the guide. This process lowers each raker to the same height as the tooth behind it. Lower each raker on the chain with the raker guide to complete the chainsaw chain sharpening process. What Is a Narrow Kerf Chainsaw Chain?